If Pentbox is not installed on your Backtrack 5 then download it. 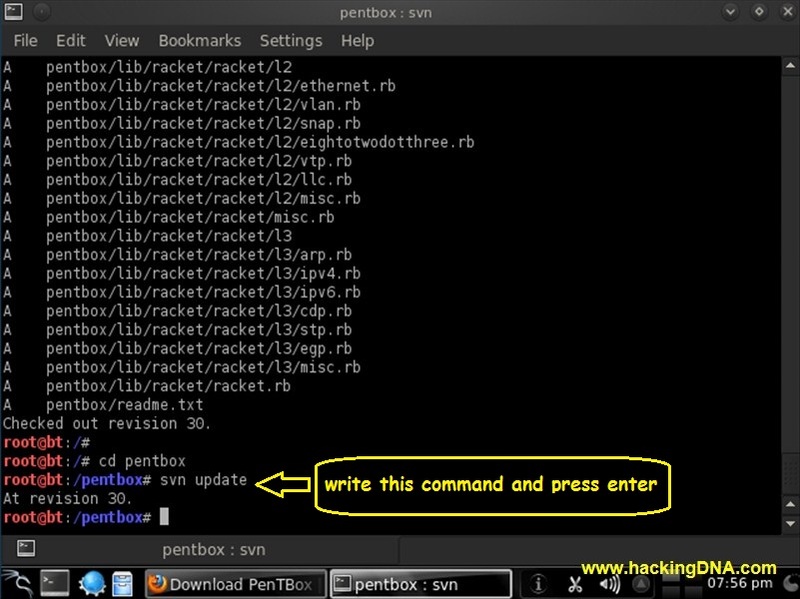 Below , In the image shown clearly how to installed " Pentbox " . Here it is your Pentbox is open . As you type 1 and hit Enter ,different tools related to Cryptography comes infront of you . Now i decided to Select base64 Encoder and Decoder first . 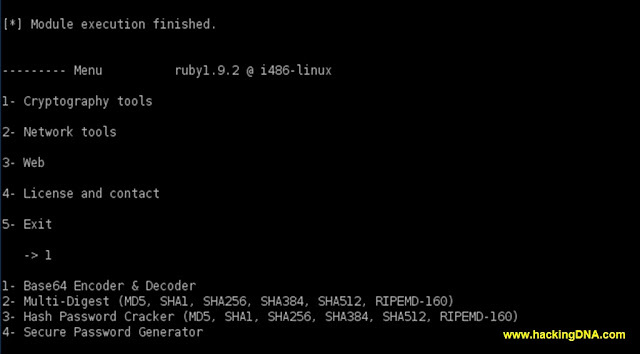 Here it is I successfully encoded and decoded a string . MULTI DIGEST TOOL - With this tool we can Cyrpt the string or any text . 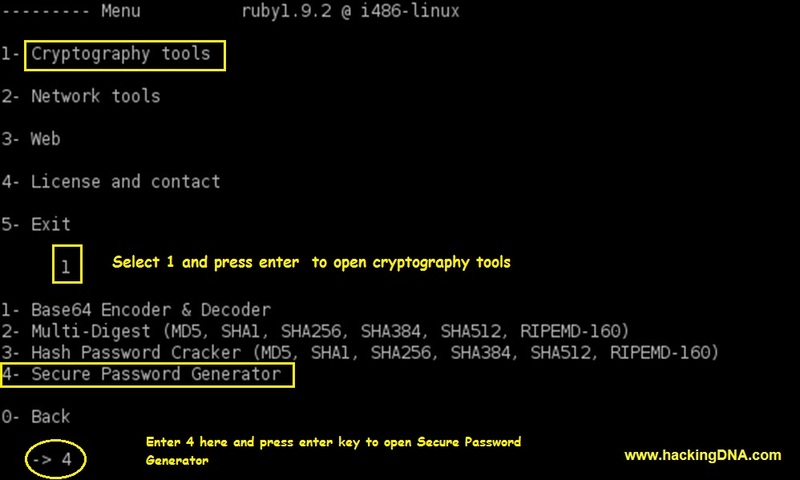 Type '1' to see the Cryptography tools . As you press Enter Key , a list of tools displayed. In this image you can see that it ask me to enter the string to digest and I type hackingDNA.com . As I press enter my string is crypted into MD5,SHA1,SHA2,SHA(256).SHA (384),SHA(512),RIPEMD-160 . First asusual type '1' to see the Cryptography tools . Now enter any text,phrase or any any word what you like . Here I enter hackingDNA and see what happen . It shows different passwords of Low Security to Ultra High Security . Message : In this tutorial I don't cover every tool. This article is just for educational purpose only .If you do anything wrong ,you yourself responsible for that.